- Added Bitcoin Cash faucets section. - Added a filter for the FaucetHub system in the Ethereum faucets section. 07/31/2017 many exchangers and stock exchanges close the Bitcoin exchange, until 08/02/2017 due to a major update of the Bitcoin network. We do not recommend from today to 08/02/2017 to make any Bitcoin payments, the network in these days may not be stable. 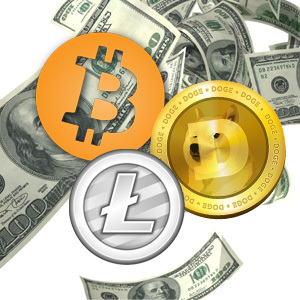 - We added Blackcoin section. Added filters by FaucetHub faucets in DASH, Peercoin and Primecoin sections. - if we get some news about ePay, will be inform in the news. You need to quickly withdraw funds from ePay, it seems that something terrible has happened. A few months ago we started receiving complaints about missing payments in ePay, in the last week complaints were very frequent. ePay support is not responding, in the "telegram" last message from ePay on May 17, Bitcoin is not paid for a whole month, Dogecoin several weeks. By voting on our website, almost 50% of users have problems with payments. At bitcointalk call to faucet owners do not deposite to ePay, talk about selective payments and loss of funds. Also the domain epay.info is for sale. In this situation, we can not recommend the ePay service, and we remove all faucets with payments in ePay service. We hope that this is all simply mistake, that ePay will give at least some kind of answer, and that will pay all users the earned money. We watched the development of ePay from their start, they always had different technical problems, but this is already too much. Popular sites in the system ? Top 10 rating is formed on the number of visits to sites in our rotator. Rating is displayed in real time. If Bitcoin Faucet does not pay, he drops out of the rating. In our system, the rating is almost impossible to cheat.